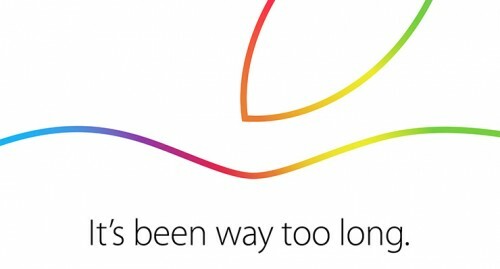 As usual with Apple invites, there are no clues as to what the company will talk about or introduce at the event. No new iPhones for sure given the huge event in September where the company unveiled new iPhone 6 and iPhone 6 Plus. It's rumored that the company will launch a new iPad Air 2, new iPad Mini, new iMacs, and OS X Yosemite at the event. The invite reads, "It's been way too long."